Tyler Butterfield has announced a new partnership with Ekoi, the French based manufacturer of cutting-edge cycling helmets, with Butterfield joining an exclusive group of world-class athletes representing the brand including Ironman World Champion Frederik Van Lierde, multiple World Champion and Olympic medalist brothers Alistair and Jonathan Brownlee and cycling sensations Team Francaise Des Jeux. “I’m excited to partner with such an innovative, respected brand,” said Butterfield.“Not only are Ekoi helmets scientifically engineered to be aerodynamic, lightweight and comfortable, the TT helmets are exceptionally cool looking. Ekoi is very popular in Europe and we’re working to increase brand awareness on an international scale,” said Everaerdt. 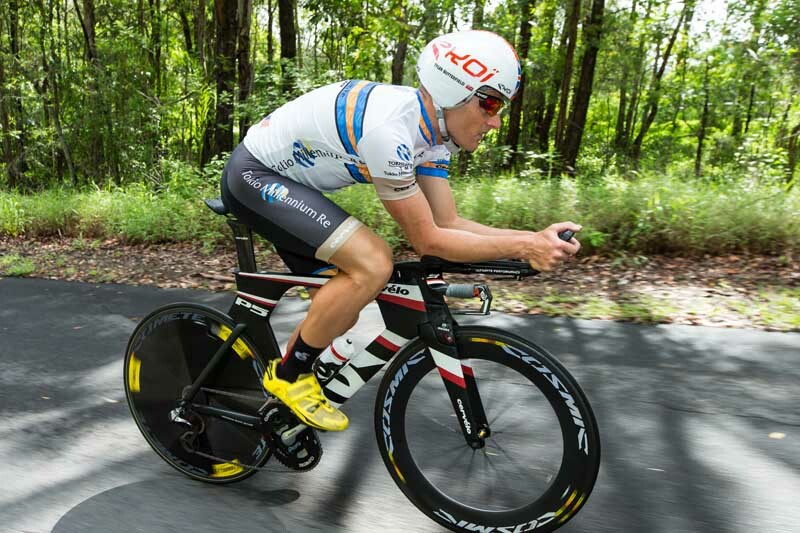 “We look to Tyler as an elite athlete ambassador who will help bring great recognition to our brand through racing at a top level on the world stage, following in the footsteps of Ironman World Champion Frederik Van Lierde. Butterfield will kick off his Ekoi-clad season with Challenge Dubai on February 27th, his first race of 2015 and the first of three competitions in the newly announced Challenge Triple Crown series. He’ll head to Dubai from his winter training base in Noosa, Australia, then return home to Boulder, Colorado, where he’ll be joined by wife Nikki and children Savana and Walker. Butterfield’s focus will then shift to preparation for Ironman Brazil on May 31, potentially incorporating Ironman 70.3 Brazil and Ironman 70.3 St. George in the build up to the full iron-distance. Howie: I'm guessing that in order for them to do so, she has to press charges. Joe Bloggs: ANZAC forces served in Korea and Viet Nam as well as the Great War and WWII. Thank you all.